Four Simple Steps to Your Best YOU! The go Clean & Lean Plan is designed to be simple to follow and most importantly, to stick with long-term. You will be incorporating four principles into your daily life, with the easiest one being a shot of SLIMMER to help you with controlling your appetite and balancing your blood sugar level and also drinking VITALITEA to hydrate your cells and rid your digestive tract of toxic waste. Most of our fans tell us that initially they feel calmer, less anxious, and just overall great. By day three, customers notice their food cravings, especially for sugar, have decreased. Taking advantage of our Go Clean & Lean 6/1 Meal Plan, along with Heart & Body Naturals plant-based whole food supplementation to fill in any nutritional deficits, will keep you on track with your long-term health and wellness goals. By day 7 almost everyone reports they are losing weight, sleeping dramatically better, seeing improvement in existing health concerns, and feeling happier. Everyone says they cannot imagine being without their Heart & Body Naturals products. 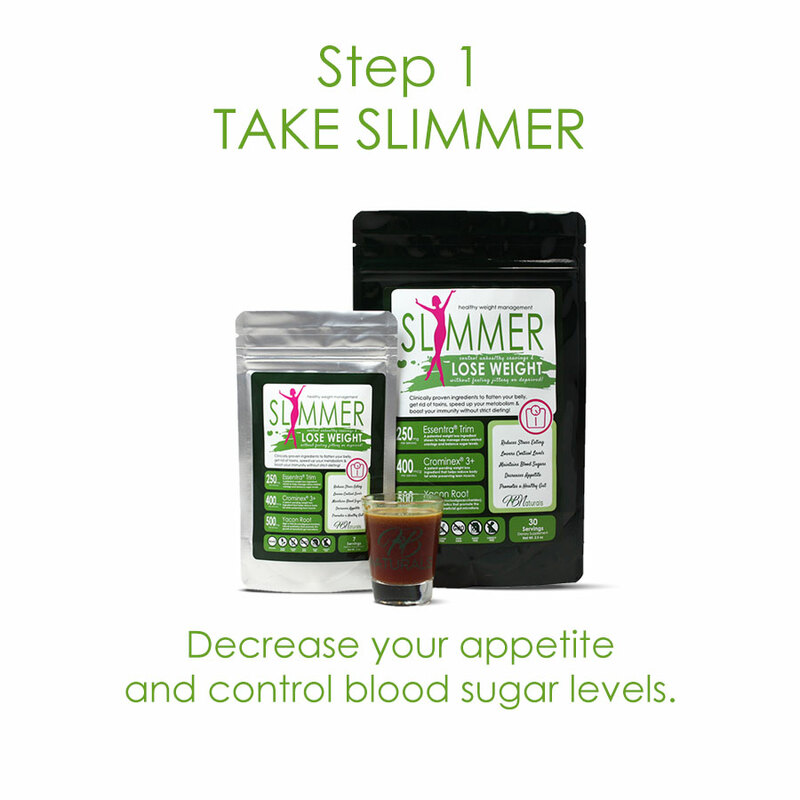 Step 1: You will take SLIMMER every day. 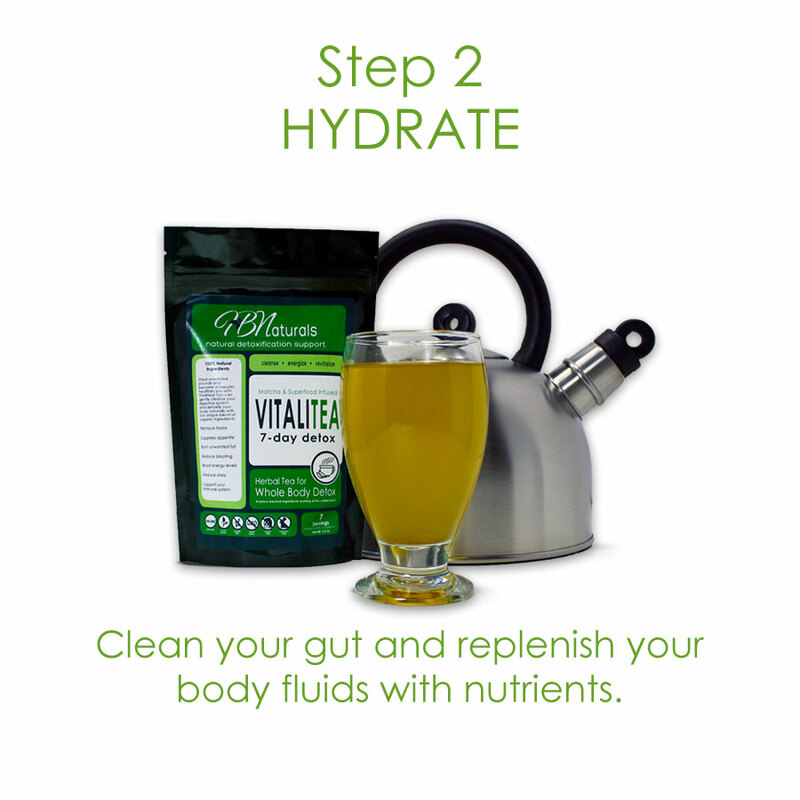 Step 2: You'll hydrate with at least 12 cups of VITALITEA tea per day. 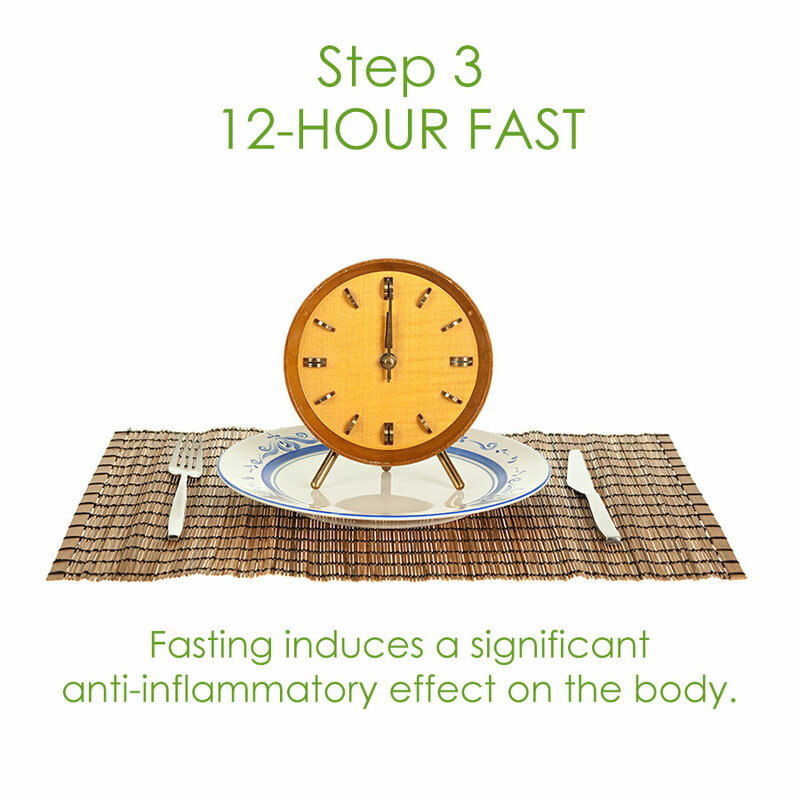 Step 3: You'll fast at least 12 hours per day. 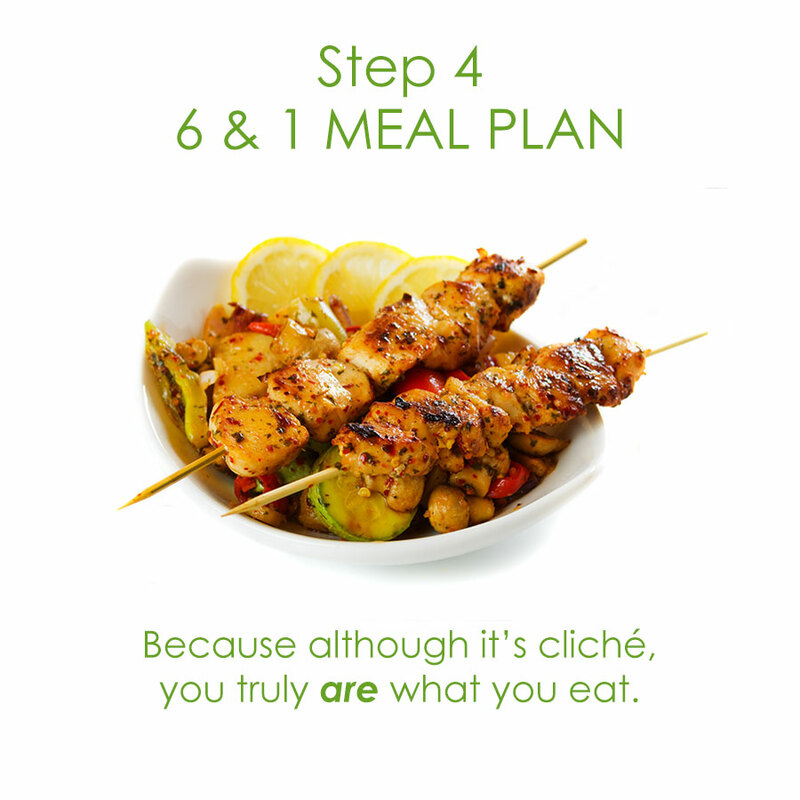 Step 4: You will follow the 6/1 Meal Plan where you can enjoy unlimited amounts of delicious foods that are high in nutrients known to help the body fight inflammation and combine well in the digestive tract for optimal nutrient absorption, followed by one healthy cheat day.